A Labour MP is to push for a Commons debate on evidence of widespread dishonesty among healthcare professionals who assess disabled people for the government’s new personal independence payment (PIP). Disability News Service (DNS) has been investigating allegations that healthcare professionals working for government contractors Atos and Capita have been lying in their assessment reports. The number of cases in which disabled PIP claimants say their assessor clearly lied in their reports has now topped 200. The DNS investigation has revealed that assessors working for Capita and Atos – most of them nurses – have repeatedly lied, ignored written evidence and dishonestly reported the results of physical examinations. Last week, DWP, Capita and Atos all refused again to launch inquiries into the claims of widespread dishonesty. 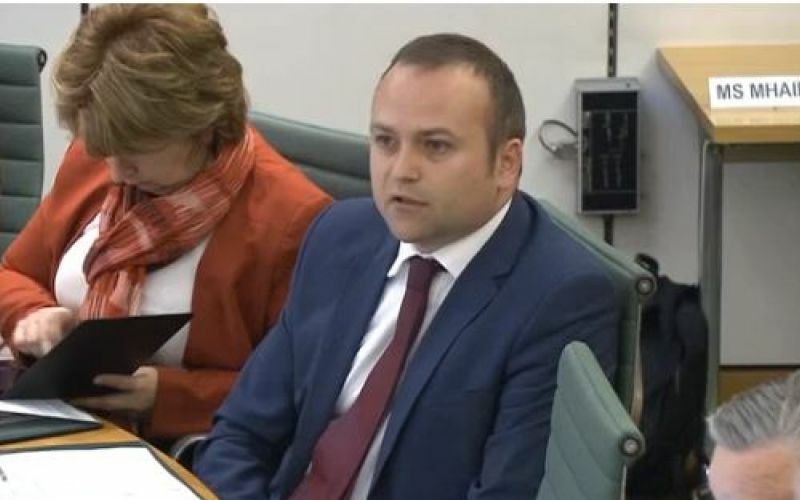 Now, following a meeting with DNS, Neil Coyle (pictured) – a member of the influential Commons work and pensions select committee – has agreed to take up the concerns after parliament’s summer recess. Following that meeting, DNS sent the Labour MP an anonymised version of the database of all the 200-plus cases. And with the claimants’ permission, DNS has now shared details of more than 20 of those cases with Coyle, who has previously worked as a director of Disability Rights UK, and for the former Disability Rights Commission. He hopes to use some of these cases to push for action when parliament resumes its work after recess, including seeking a possible backbench debate in the House of Commons. Coyle said: “I’m very concerned at the volume and persistent nature of complaints about inaccurate and in too many cases what appear to be dishonest assessments. “We know PIP was designed under the coalition to cut help to half a million disabled people, but the assessment process itself appears badly broken already and repeating mistakes of the work capability assessment. The committee had been investigating the PIP assessment process earlier this year, but its inquiry had to be abandoned when prime minister Theresa May called the general election. But statements that had already been submitted to the committee had provided further evidence of widespread dishonesty. It is not yet clear whether the committee will relaunch its inquiry into the PIP assessment process when MPs return after the summer recess.